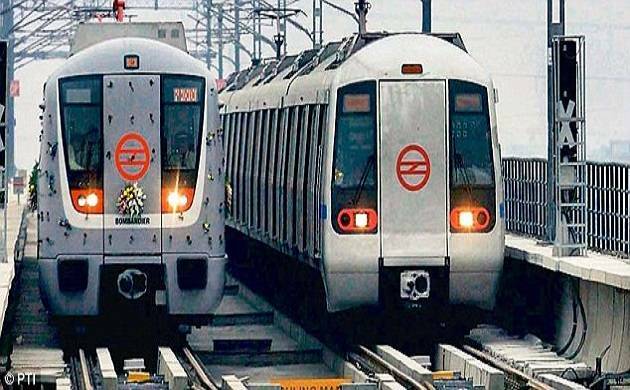 The Uttar Pradesh government has made a budgetary provision of Rs 288 crore for metro rail projects, while allocating Rs 598.65 crore for widening and strengthening of roads. The state government has also granted Rs 3,972 crore for maintenance of roads and making them pot-hole free.A provision of Rs 451.58 crore has been made for connecting villages with link roads and construction of small bridges. The government has also allocated Rs 71.21 crore for linking district headquarters with 4-lane roads, and Rs 50 crore to set up UP State Road Development Corporation. It has proposed new special schemes of Rs 300 crore for Purvanchal and Rs 200 crore for Bundelkhand. The state government has granted Rs 300 crore for Pandit Deendayal Upadhyaya Urban Development Scheme. A provision of Rs 385 crore for the Chief Minister Urban semi developed and slum localities development scheme has been made. It has also proposed Rs 3,000 crore for Housing for All (Urban Mission) under the Pradhan Mantri Awas Yojana. The state allocated Rs 218.75 crore for National Urban Livelihood Mission under Deendayal Antyodaya Scheme, while Rs 30 crore has been set aside for Pandit Deendayal Upadhyaya Solar Street Light Scheme. The government also granted Rs 400 crore for construction and strengthening of air strips at selected places and land acquisition for this purpose. A provision of Rs 40 crore has been made to set up impounding houses/cattle shelter homes under the Kanha Gaushala Evam Besahara Pashu Ashraya Yojna. The budget set aside Rs 8,000 crore for construction, widening and strengthening of roads under the Central Road Fund Scheme. Besides, Rs 251.67 crore allocated for roads construction in 7 districts of the state adjacent to Nepal border, while setting aside Rs 253 crore for road construction under the proposed World Bank aided Uttar Pradesh Core Network Project and Rs 202 crore for road construction with the aid of Asian Development Bank. A provision of Rs 185.69 crore has been made for the construction of bridges, ROBs and under passes over roads of different category in the state.